Our experienced advisors take the time to match a tutor to your child's personality and difficulties. 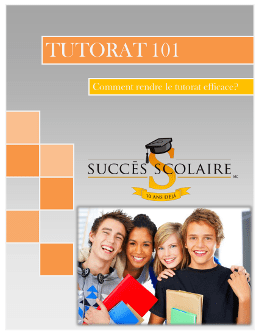 If they are having difficulties with subjects in elementary school, high school or cegep, don't hesitate to contact School Success. Through individual support, the tutor takes a unique approach tailored to your child in order to address concepts seen in class, consolidate what they've learned, prevent them from falling behind or help them catch up, help them prepare for exams, provide further advancement, and suggest efficient work methods and learning strategies.